Being an insurance provider that aims to service a niche market can be exciting but challenging, particularly when the niche market is made up of enthusiasts. Enthusiasts have specific needs and are highly knowledgeable in their hobby and what is required to partake in it. The overwhelming positive of dealing with enthusiasts though, is that they know what they want and are never backward about giving feedback or sharing ideas. 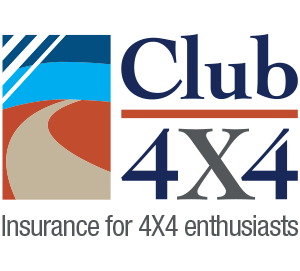 We like to think we are the same here at Club 4X4 HQ, so this is exactly how we like it and to date this has helped to shape our product since its launch. Over the last few months, we saw an increasing level of feedback around the wording of our Off-Road Recovery Cover benefit. The wording stated that coverage of the costs of any recovery would only be out to a gazetted road. Given that a large portion of our off-road adventures are likely to be on gazetted tracks, this meant that the location to which our product would compensate your recovery to, could well be out of the realms of your roadside assistance policy. 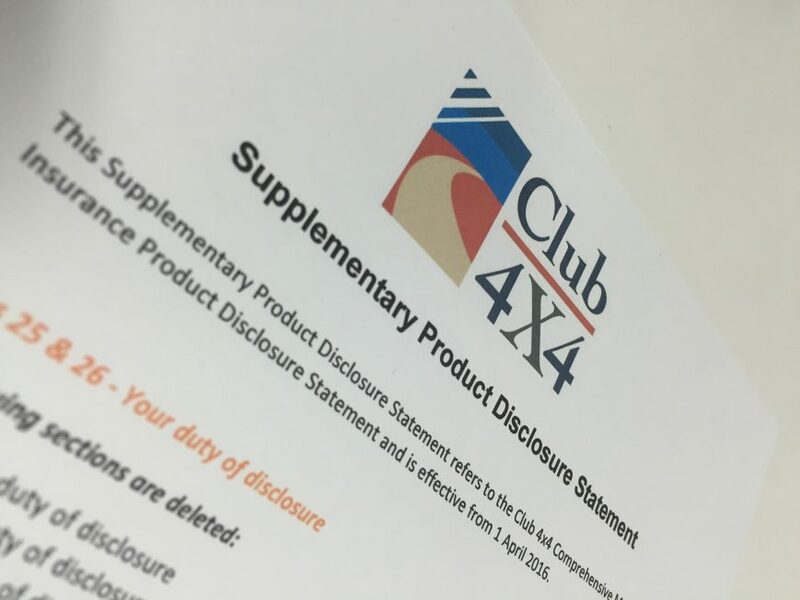 Today we released a Supplementary Product Disclosure Statement (SPDS), effective from 1 April 2016, which you can find here. Among other adjustments, you will find a revised coverage for our Off Road Recovery Cover benefit. These changes were worked on with a number of customers who had brought the issue to our attention and were also keen to work with us to make it a more valuable and clear product benefit. We are proud to say that we have incorporated all of the adjustments that were recommended and asked for. The product is now much clearer in its wording, allowing for recovery out to the nearest sealed road or town, up to the limit you have selected for this benefit. This improves and extends an already incomparable product benefit; to our knowledge such cover cannot be found elsewhere at this time. Click here to see some examples of how the coverage works. Like all good things though, this does come at a cost. Once again we are pleased to say that we work-shopped these changes with our customers. In the process of allowing recovery out to a sealed road or nearest town, we increased the potential costs that could be generated at claims time – like any insurance provider, claims costs have a significant effect on us and our premiums. Ultimately, incorrect pricing leads to one of two things: early retirement for the company (which we don’t want to do! ), or increased premiums down the track (which no one wants!). You will find a quick comparison of premiums and excesses below from before and after April 1st. Along with the adjustments in premium, we’ve put in place an excess structure which adjusts depending on the size of the recovery – more equitable than a “one size fits all” excess structure. Why should the same excess apply for a $2,000 claim and a $15,000 claim? At this point you may be asking, what does that mean for me if I bought my policy before the changes? Well, our view on this is pretty simple: at the point of any claim on Off-Road Recovery Cover we will honour what is best for you. If the new wording is going to work better for your circumstances, the new wording will apply. No extra premiums will be charged during your current policy period, but if you bought with the old wording and want to claim under the new one, you will simply be asked to pay the new excess structure. So there you have it, once again we have listened and we have accommodated. Would your current insurer listen to your feedback and work with you to make changes that add value? In this sort of time-frame? If you have any questions feel free to contact us on 1800 Club 4X4 (258 249) or submit a web contact form here and we will call you back as soon as possible. Hi, I’m not currently a policy holder but I intend to switch to you when my insurance is due. I have looked at your inclusions and it will definitely suit our family 4wd adventures. 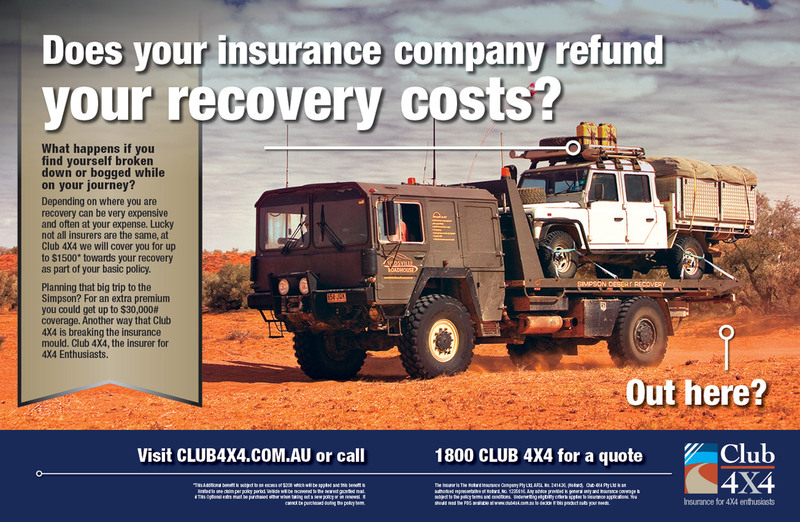 I was wondering if I am able to change the level of Off-Road Recovery Cover each year that I renew. Eg most of the time the included amount would be fine for what I’m planning. But if I knew I was about to do a more remote trip (eg Simpson Desert) with potentially higher recovery costs, would I be able to increase the Off-Road Recovery Cover for that year alone and then reduce it again the following year ? Yes, at renewal of your policy you can tailor your coverage across Off-Road Recovery Cover and your Australia wide Personal Effects coverage also. You’re right, doing the Simpson or that Cape isn’t something that you think of at the drop of a hat. It takes planning and preparation to do such a trip, as such you can plan it around your renewal, take it up, then as you said the following year you can choose to remove it. Great question, thanks for that.